Mitchell's Fold Stone Circle is located on an exposed ridge in the hill country along the border between Shropshire and Powys. 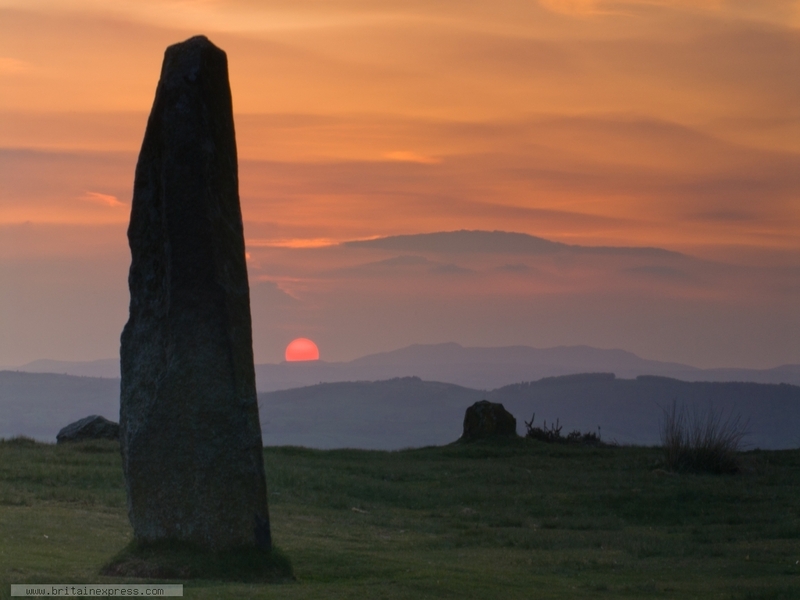 There are several prehistoric remains nearby including a solitary standing stone and burial cairn. 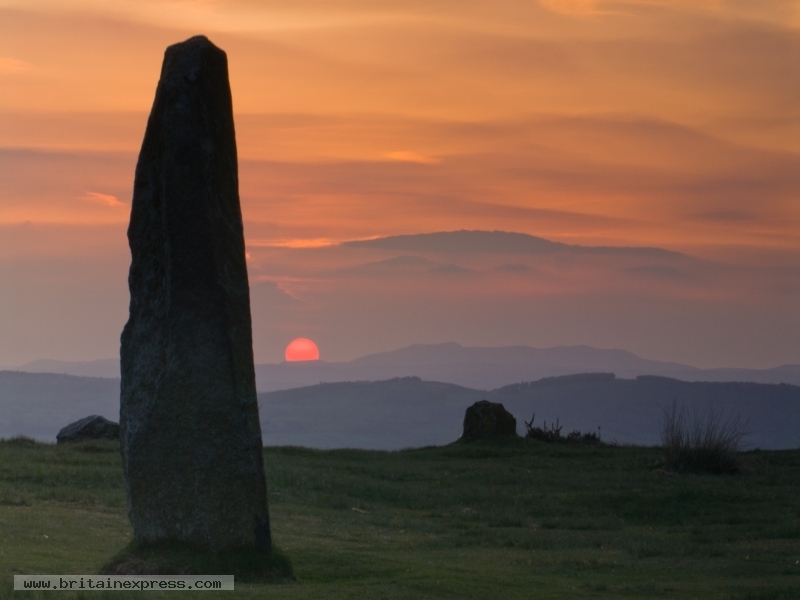 The location is wonderful, and on this occasion I was lucky enough to catch a superb sunset over the Cambrian mountains of Wales to the west. 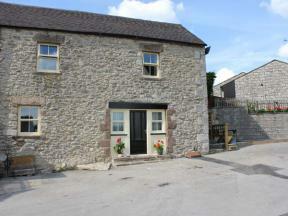 This wonderful, semi-detached cottage in Middleton can sleep up to five people in two bedrooms.